psychic development | QuantumPhoenix.net – Esoterica, Paganism & Ritual Magic. Marking Time – 5 months of camping out! Dear all.. it may surprise some of you to know (unless you are my facebook friends) that I have been sleeping in the garden in a tent…for 5 months now.. rain or shine.. storms or summer breezes. It started on 7th August 2015..and today marks 5 months. (even when i have been out and about, like Glastonbury & Sussex, I had still only stayed out in a tent). Of course day time is spent on all sorts indoors (internet, socials, work, events, out and about, parties etc…but always I have returned to the tent at night…sometimes a bit hard..what with gale force finds and freezing temperatures). I have had many thoughts, ideas, few insights… and some magical / psychic progress and personal developments..
Over the coming weeks, I will write more about those..and share my thoughts and experiences.. But for now…here’s a bunch of pictures I took of my garden as it is this morning. Be kind with these and me.. as I am now `exposing’ my personal space.. 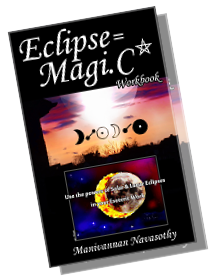 The most basic of energy work involves this very simple but highly beneficial energy work. The aim is to seek the help of a living tree and its own ways, to align ourselves with the energy of the earth. Initially this exercise should be done outdoors, in the presence of an actual tree. And then periodically there, or in the presence of other wonderful trees you find. Once used to it, this exercise can be done indoors or anywhere , using just the imagery. 1. Take a walk in the park or your local woods. Spend at least 30-60 minutes just walking and enjoying the feel of being outdoors in nature. Pick a location that is quite, where there is very little chance of you being disturbed. These days anywhere on the world is hardly sound-free. Nearby cars, flying aeroplanes in the sky, occasional people walking by (at times with their mobile phones, talking loud). So spend time looking for a near-quiet location. 3. Its good practice to tidy up the area! Take out any rubbish and put in a bag (which you can take away and put in a bin!). Pick out glass pieces etc. The of course, you can place a small sheet or cloth at the base of the tree to sit on. 4. Take away all things that hinder you (loosen your cloths, belt; empty too many objects from your pockets and place in a secure bag to keep nearby, but not on you. Remember all objects have an energy, and some distort other energies. For this work, you need to focus on you and the tree. All else is `3rd party’ which may affect the work). 5. Be seated very close to the base of the tree, with your back firmly leaning against the trunk/ base of the tree. 1. Close your eyes and relax. Take many deep breaths and let it go. Do the basics of meditation preparations we described previously. 2. Begin to visualise your own aura – a bubble of energy that is surrounding you. Now also begin to visualise the aura of the tree – which is going to be a huge bubble around it. 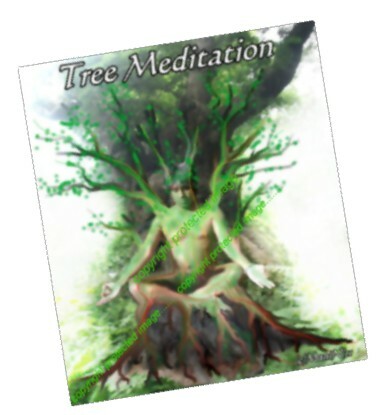 By this token, its clear that you are already inside the aura field of the tree. 3. Let your own aura slowly mingle with the tree’s aura. Let both auras slowly permeate one another. Imagine you are breathing in the oxygen that the tree is producing through photosynthesis, and breath out carbon dioxide and water vapour. Imagine the tree is taking these in to use for its photosynthesis, and in turn producing oxygen. 4. The next stage will be to start focusing on your own body. Visualise small roots sprouting from the back of your spine, where it’s touching the base of the tree. Consciously by an act of magical will, `grow’ these root from your sine; let them gently penetrate the soil below, and dig deep. Let these roots grow, branch out and go deeper in to the earth. With these roots, seek out the energies of the earth, deep below. Visualise the deep energies of the earth being drawn up through your own `roots’ back into your body. Allow your self to be filled and nourished by this earth-energy. Stay with this visualisation for as long as you need. 5. You can now begin to visualise small branches sprouting from your arms, neck, head and shoulders and reaching upwards. Visualise these tiny branches growing leaves and facing the Sun’s light. 6. Reach a state of visualisation, where you have slowly transformed into a tree- your roots deep into the earth, drawing in energy, while your `branches and leaves’ grow upwards to the sky towards the Sun, to draw the solar energy in! 7. Let these energies of Earth & Sun permeate, circulate and percolate within you. 8. When you feel your work is complete, slowly `retract’ the leaves and branches back within you; Then retract the roots within you. Then focus on the auras of your body and the tree. Slowly separate the two. Be aware of your own auric bubble. 9. Open your eyes. Take a moment to adjust to the sights and sounds around you. Thank the tree for its company and help! Have a sip of water. Stand up and stretch for a little. And return to your home, or continue exploring the woods! 10. When you have done this one or twice in the presence of an actual tree in a park, home or woods, it is easier to do the same visualisation of you transforming your self into a living `tree’ anywhere, whenever you need to have a strong connection to the Earth and Sun.